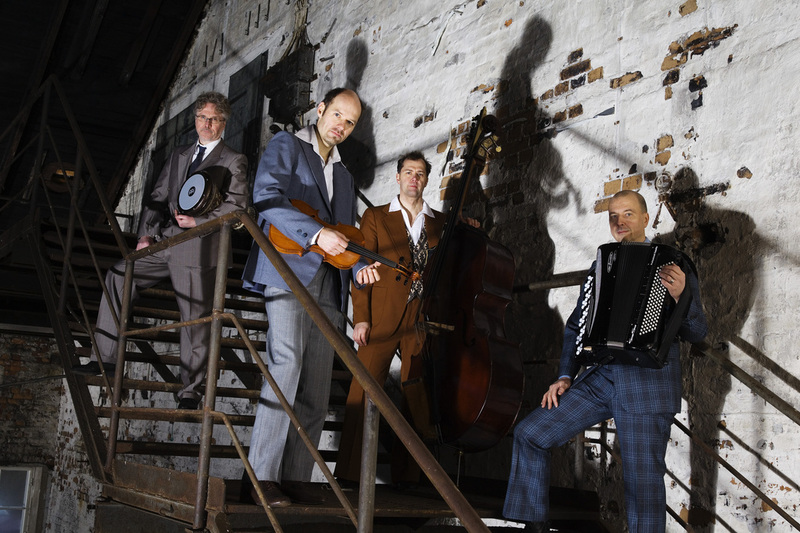 was founded 1996 by Hannu Vasara, Sampo Lassila,Tapani Jämsen and Markku Lepistö to perform acoustic klezmer music. Welcome to visit Doina Klezmer Facebook -group. Doina Klezmer (founded 1996) aspire to respect the tradition of klezmer, but also to step ahead and create music which reflects the life of our time. In the music of Doina Klezmer can be heard the wide variety of impulses the musicians have gathered when working in the finest orchestras, modern jazz groups and world music groups in Finland. The repertoire of Doina Klezmer consists of traditional klezmer arranged by the members and contemporary klezmer works composed mostly by Sampo Lassila. After establishing of Doina Klezmer, klezmermusic has reached growing audiences in Finland. The group has performed in Sweden, Russia, Austria and in the most important festivals in Finland with own concerts, beside the gigs in clubs and various happy occasions. Doina Klezmer has also succesfully collaborated with other artists like Tommi Kitti , Mikael Baran and the Yle Radiotheater.